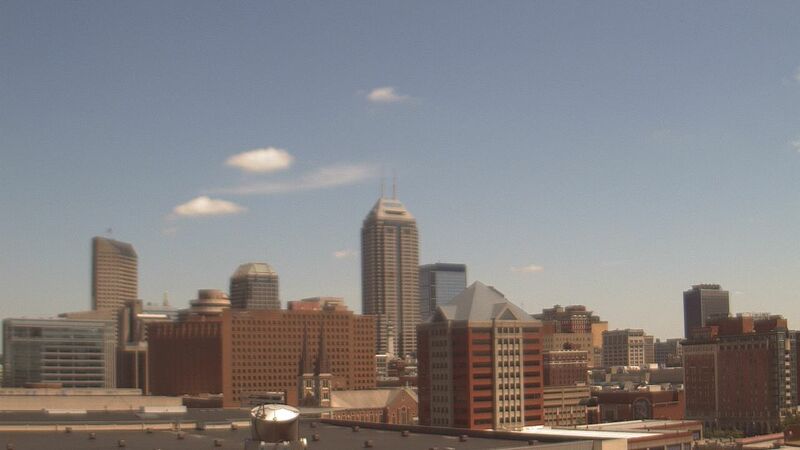 You couldn't ask for better weather on Easter Sunday in Central Indiana. Sunshine and highs near 70 is just what the doctor ordered after a soggy start to the weekend. Pleasant weather continues this evening with clear conditions lingering to around midnight. Comfortable lows near 50 overnight precedes a much warmer Monday that sees highs temperatures near 80° in the afternoon. This is courtesy of a stiff south-southwest wind with intervals of clouds and sun. Mild air lingers into Tuesday but an approaching cold front brings chances of showers and thunderstorms... beginning Monday night and likely peaking along the front Tuesday afternoon/evening. There's some uncertainty on the exact location of the front during peak heating Tuesday. One scenario places the boundary south of Indy and this would significantly lower rain/storm chances around the metro area. It's too early to call at this time. Providing the front settles along the Ohio River Tuesday night, we're expecting a cooler and pleasant Wednesday with highs in the 60s. Another wave of low pressure Wednesday evening into Thursday may bring a period of rain.